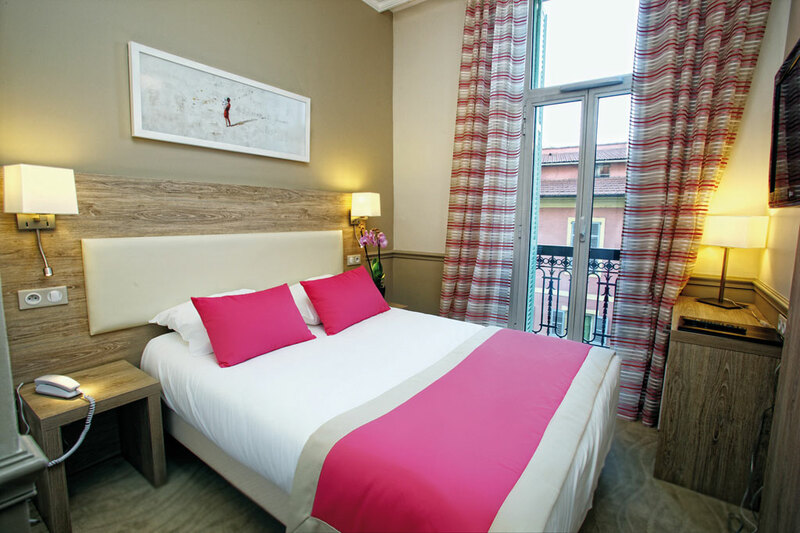 The standard rooms of the 3-star Royal Westminster hotel in Menton all have a sophisticated décor in warm tones and overlook the town’s pedestrian streets. 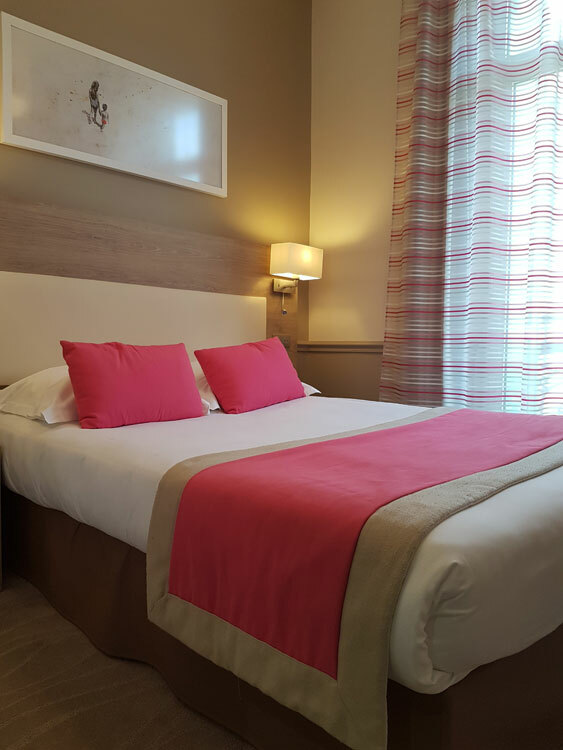 These comfortable rooms are ideal for enjoying your stay in the heart of Menton. Between Italy and Monaco, between sea and mountains, Menton enjoys an exceptional climate all year round. 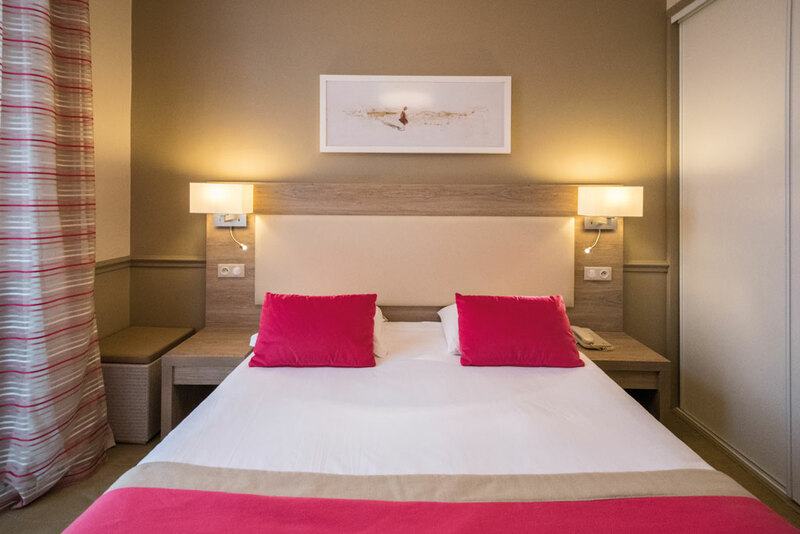 For a short stay in this former Belle Époque hotel, enjoy our standard rooms overlooking the pedestrian streets of Menton. 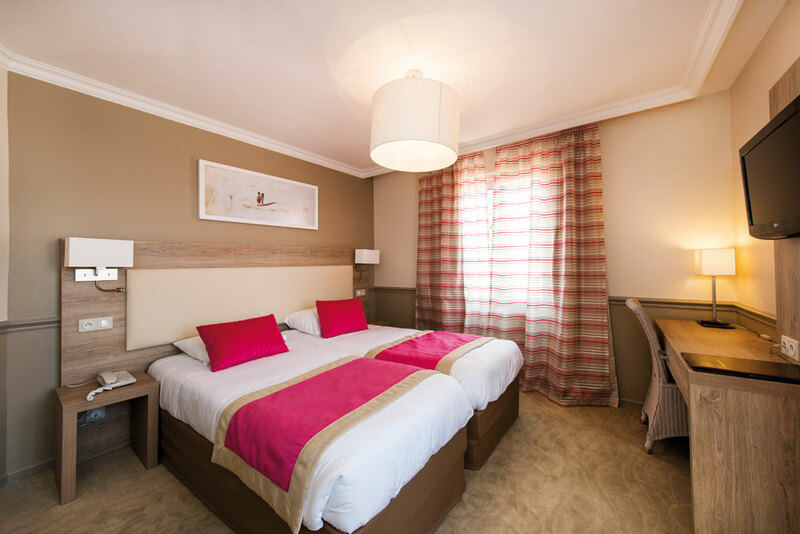 Standard rooms have a double bed or 2 twin beds, are air-conditioned, have free and unlimited WiFi access and are ideal for two people. As an added treat, breakfast can be served in your room upon request, whether you want to enjoy breakfast in bed or to take advantage of your comfortable room for a little longer, in complete privacy. 1 double bed or 2 twin beds. 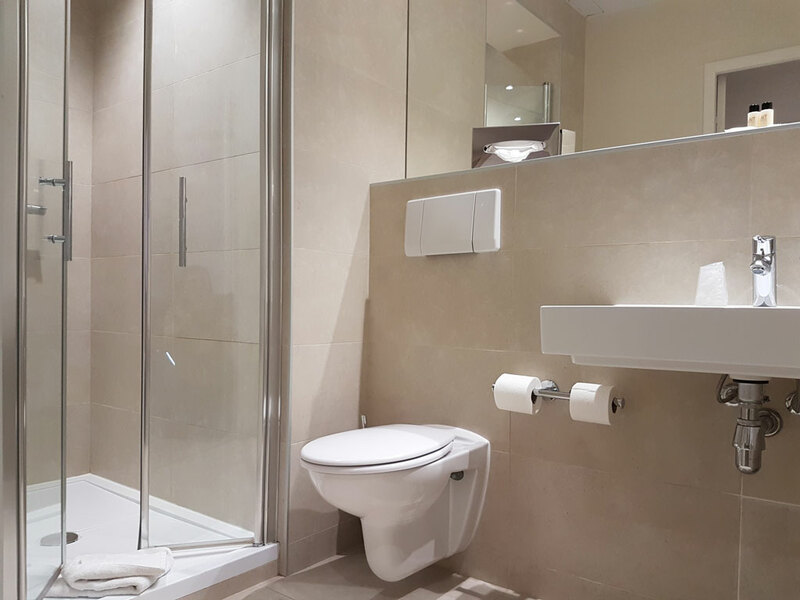 Private bathroom: bath or shower, hairdryer. Towels provided and changed if necessary. 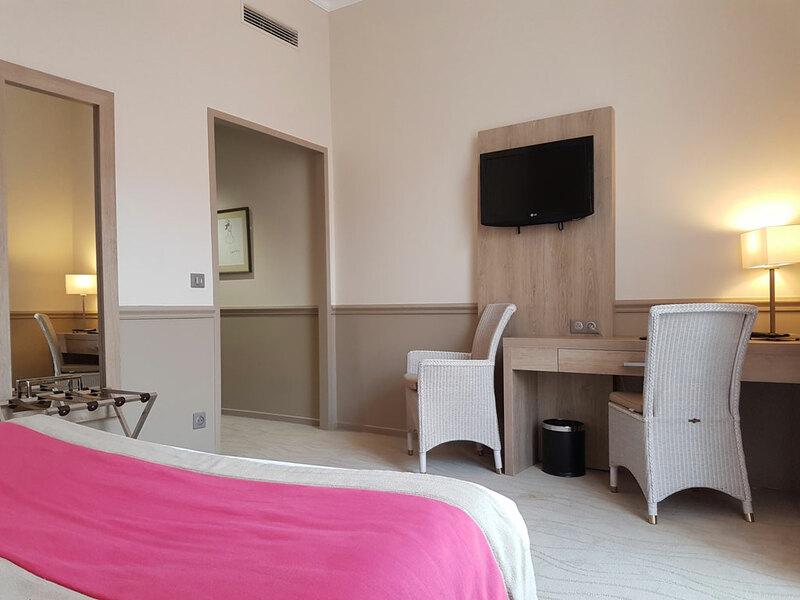 The 3-star hotel in Menton is the ideal place to enjoy your stay in Menton and the Cote d’Azur. 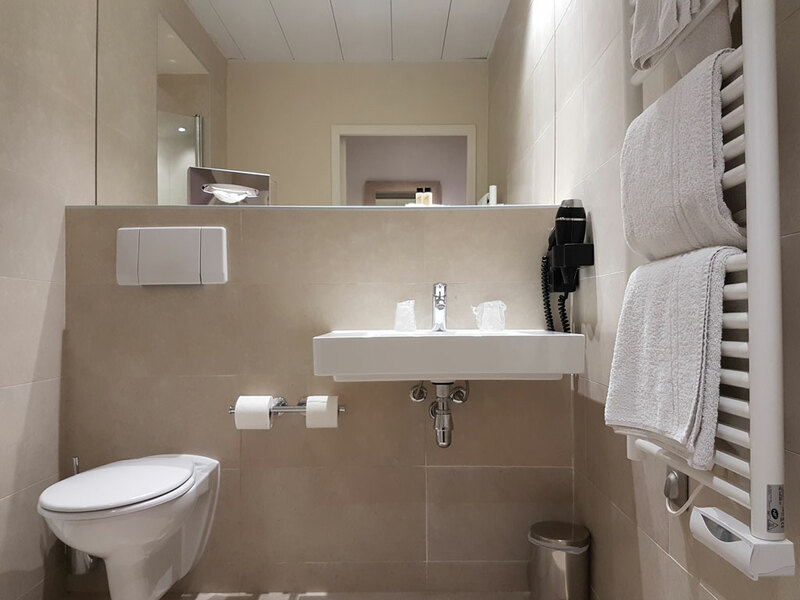 Don’t wait any longer: book one of our comfortable standard rooms now. Ideal for a short trip or a holiday in a 3-star hotel in Menton. Arrivals: rooms available from 2.30pm on the day of your arrival. Departure: Please check out before 11am on the day of your departure. Our hotel in Menton also offers standard rooms with a sea view, privilege rooms with a sea or city view. Please note: Pets allowed with supplement of 14 € / night. All rooms do not have a balcony.